3M 8896 24 mm x 110 m Scotch Film Strapping Tape is a high-performance tape which removes cleanly. 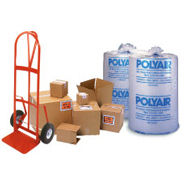 This pressure-sensitive adhesive includes a tensilized polypropylene film backing. 3M ID 70006328051 3M 8896 24 mm x 110 m 4.6 mil Scotch Film Strapping Tape has been designed to secure racks, doors, cords, panels, shelving, and other appliance parts in place, from plant to install.